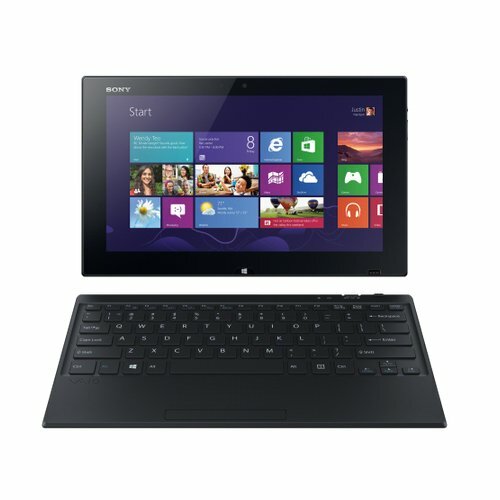 Get more options at your fingertips with this Sony VAIO convertible laptop. The magnetic, detachable keyboard allows you to use your device in tablet or PC mode, and a high-definition touch screen lets you easily browse the Web, watch videos and flip through photos on a stunning display. On-processor graphics with shared video memory provide everyday image quality for Internet use, basic photo editing and casual gaming. Optimized to use less power.